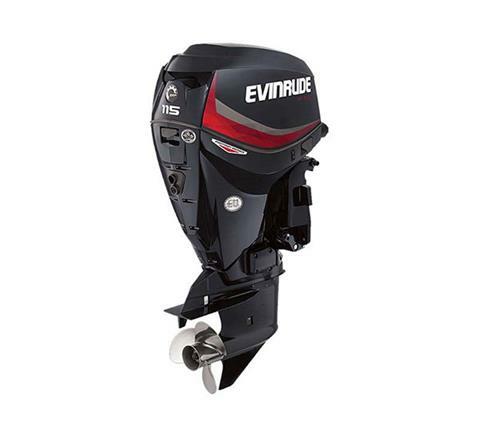 All of the benefits of an Evinrude E-TEC tuned specifically for pontoons. Our Pontoon Series engines deliver greater thrust, reduce vibration for a smoother, quieter ride, and make your pontoon easier to own. E-TEC TECHNOLOGY: The E-TEC technology will pull skiers out of the water with impressive low end torque, but is also quiet and incredibly fuel efficient, making it as good for cruising as it is for tow sports. EASY OWNERSHIP: Extend your boating season, versus having to take care of your outboard. Like all Evinrude E-TEC engines, the Pontoon Series features no-break in, auto-winterization, and 3 years, or 300 hours no dealer-scheduled maintenance. EASY MANEUVERING: A key to good pontoon performance is getting a pontoon loaded with passengers to maneuver around easily. The optimized gear ratios and unique software mapping of the Pontoon Series provides quicker acceleration, improved throttle response and more stopping power. SMOOTHER RIDE: Pontoons are apt to more vibration than a comparable v-hull boat, so we developed softer rubber motor mounts to reduces vibration, giving pontoon owners a smoother and more enjoyable pontooning experience. MORE TIME FOR FUN: Pontoon Series engines offer an external oil tank for easier access for re-filling. With a combined oil capacity of up to 2.25 gallons, the time between fill ups can be extended by more than two years for the average pontoon user.